In Haiti, for every 1,000 births, 60 babies will die in the first month of life; 30 will die directly after birth, usually from infection, lack of oxygen or prematurity. Others suffer brain damage and are permanently impaired. 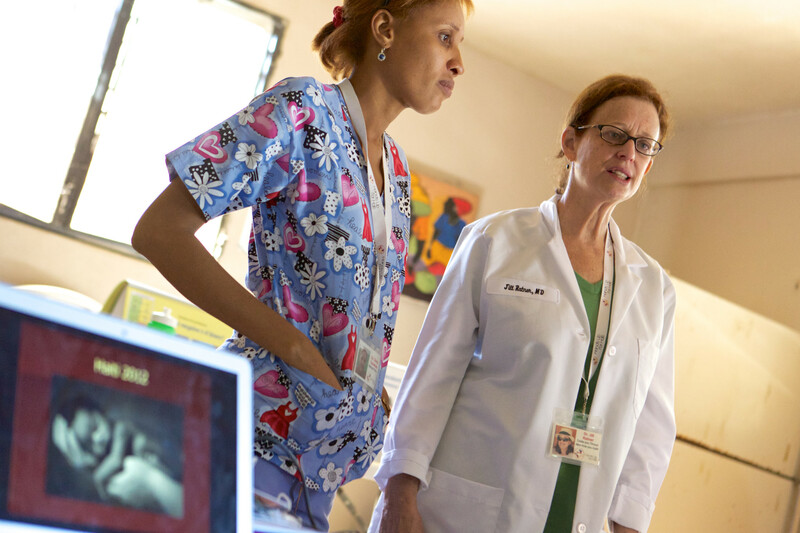 In Haiti, skilled medical professionals (doctor, nurse, or midwife) attend only 37% of births. The other deliveries generally occur in remote villages and low-resource, impoverished areas, usually in the home, without clean water or adequate light. 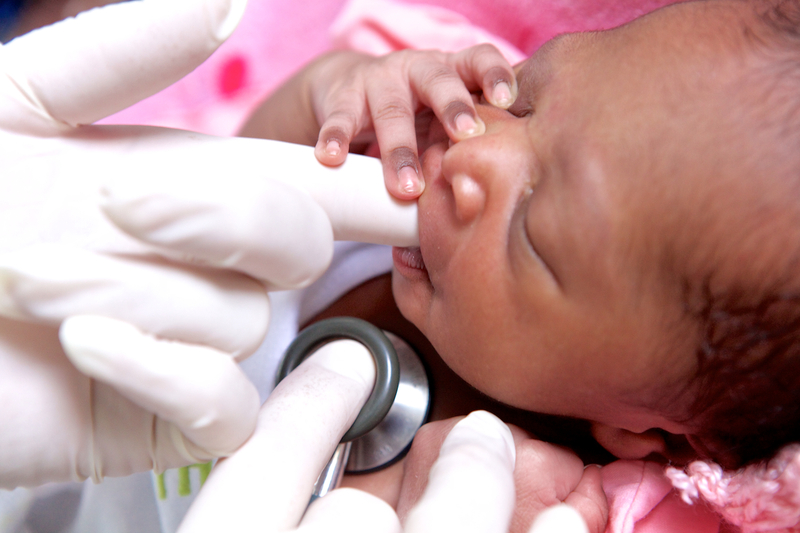 HELPING BABIES SURVIVE (HBS), developed by the American Academy of Pediatrics, is a suite of hands-on training programs intended to reduce neonatal mortality in resource-limited environments and save lives. HELPING BABIES BREATHE (HBB) trains matrones, as traditional birth attendants are known in Haiti, in newborn resuscitation skills to be used during the “Golden Minute” immediately after a baby is born to give a much better chance at life to babies who struggle to breathe at birth, and to accomplish this by training local doctors and nurses to be teachers in their own country. HUFH was one of the first groups to bring this program to northern Haiti. To date, we have trained more than 300 matrones and medical providers in this lifesaving technique and 150 professionals as instructors in their own country. This spring, in an empowering moment, our in-country team, who we had trained earlier, traveled from Cap Haitien to Port au Prince to in turn teach the course to 24 Haitian nurse practitioner students. ESSENTIAL CARE FOR EVERY BABY (ECEB) teaches health care providers essential practices to keep all babies healthy in the first 48 hours after birth, when most infant deaths occur. Through hands-on learning and practice, the course focuses on how to recognize danger signs in newborns, including hypothermia and sepsis, and on improving success in practices such as breast feeding, cord care, and eye care, all directly connected to health in newborns. 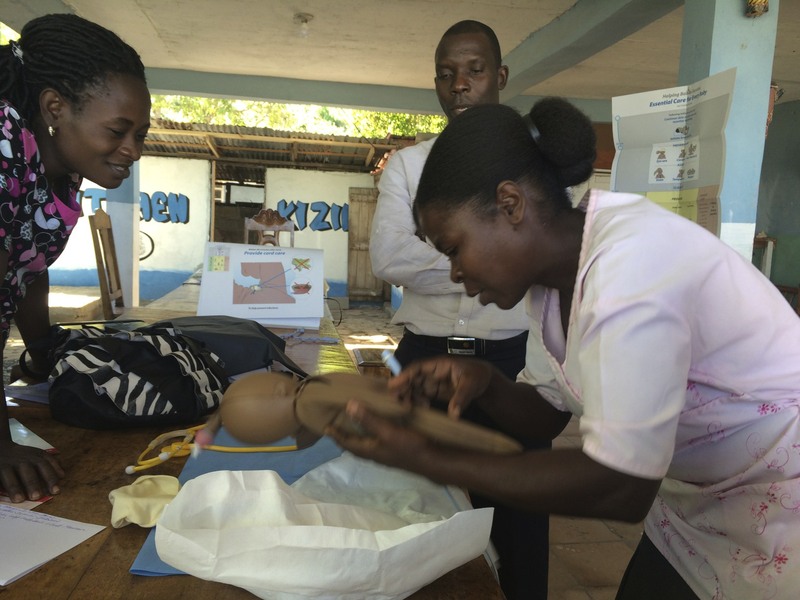 In 2015, shortly after the course was first developed, a visiting team of HUFH doctors and nurses, together with HUFH’s in-country medical director, presented the ECEB curriculum to their Haitian counterparts, one of the first courses in ECEB in Haiti. Thirty-nine doctors, nurses, and nurse students attended. As is true with HBB, the newly trained in-country medical staff will be able to train others on an ongoing basis. We enroll our babies in our follow-up program to connect them with a clinic location to receive necessary immunizations. We see all newborn babies and mothers in our clinics for a postnatal visit within a week to ensure that the babies are gaining weight, breastfeeding well, and to assess for any problems such as jaundice or infection. Our hope is to expand this program in 2016 and work with our partners to coordinate this care in the entire region. An HUFH team of board certified neonatologists set up the Neonatal Intensive Care Unit at Hopital Convention Baptiste Haiti (HCBH), supported by Hope Health Action, a UK NGO, now one of the busiest neonatal units in northern Haiti. The team introduced the use of CPAP – Continuous Positive Airway Pressure, a lifesaving delivery of oxygen to pre-term babies who are struggling to breathe. HUFH’s neonatologists are collaborating with Haitian pediatricians in an ongoing program to elevate the level of care in the neonatal units of both Justinian University Hospital and HCBH. 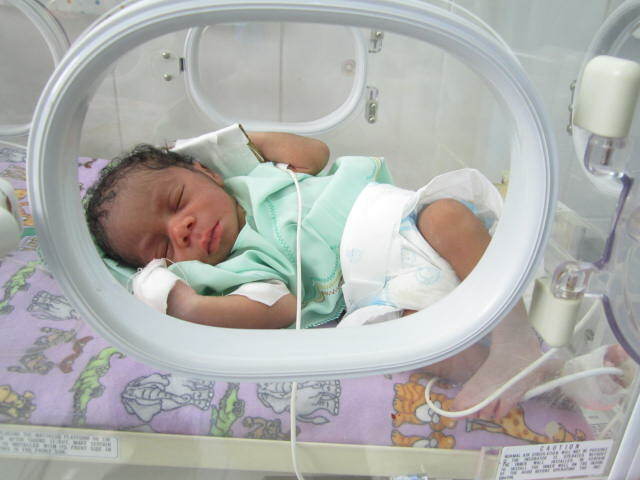 Among the challenges healthcare providers face are the lack of necessary equipment, oxygen and even medications to care for premature babies in Haiti. This past year a working group was formed to discuss best practices and practical solutions, as many more younger and younger babies are being brought to the units.